The steamy conclusion in the Secrets, Lies, & Deception Duet! For Katherine Collins, finding justice ended with heartbreaking consequences. Resigning from the BCI, she flees to New York City, determined to pick up the pieces. But the past refuses to stay buried. When the scandal surrounding her life publicly explodes on the heels of a horrifying murder, Kat becomes entangled in a decades old conspiracy that has chilling similarities to the present. Crucified by the media, Stephen Chandler is on the brink of losing everything. His family was torn apart, his political ambitions destroyed and what’s left of his career is hanging by a thread. With his life in ruins, Stephen knows he should let Kat go. Instead he’s determined to fix his biggest regret, leaving her in another man’s arms. With Kat by his side, Ethan O’Rourke is on top of the world. But while he announces his candidacy for District Attorney, his greatest adversary threatens to destroy everything Ethan desires. One man is accused of murder. The other is hiding deadly secrets. Caught in a war between the two, Kat’s loyalties are torn as she’s forced to confront a horrible truth. A truth that ends in BETRAYAL. 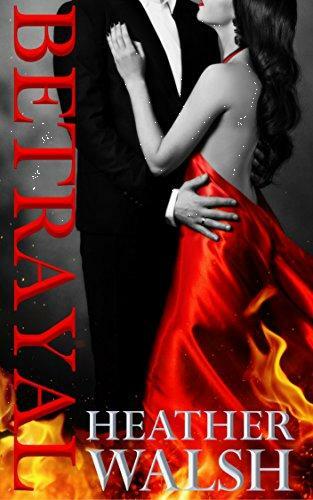 Authors Note: Betrayal is the second book in the Secrets, Lies, and Deception Duet. Deception should be read first. This book is intended for mature audiences.